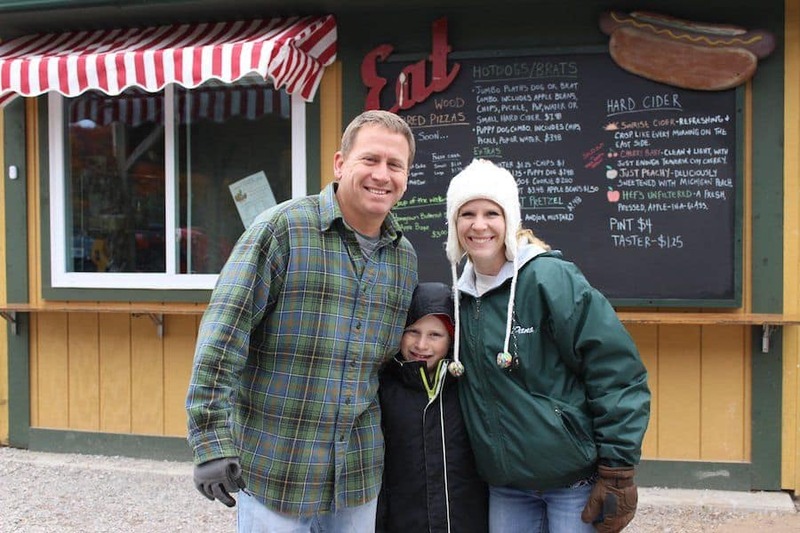 Andrew Hefele has accomplished a lot in 4 years since taking over the family orchard. 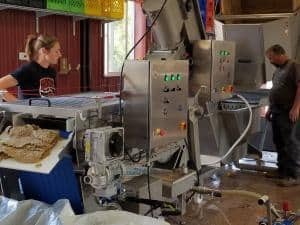 He’s now running a successful cidery, Twisted Roots Cider, producing 36,000 litres a year, and has changed the family farm by growing new varieties of apples, attracting a younger crowd, and having a lot of fun with it. Deciding to go the hard cider route not only saved the orchard, it has transformed it in many ways. As many businesses discover, growth comes with its’ challenges. Solving the dilemma of fruit loss only created another concern. Andrew was using a rack and cloth press and finding five employees to work a long gruelling day pressing cider was starting to get difficult. When working with the rack and cloth press, the pressing had to take place during a small window when the apples were ripe. Using a rack and cloth press is much like folding laundry. The cloth (called a cheese) is filled with pomace, a frame is set on top, and this is repeated until the stack is high enough to be squished between the press. If the fruit is over-ripe, the pomace will explode through the cloth. In addition to the intensive labour, when Andrew stepped away the whole process stopped. Andrew went looking for a better solution, one that would transform his operation to be more efficient, less labour intensive and more flexible, widening the window where he could press his fruit. Finding the right equipment can revolutionize production for a cidery like Twisted Roots. 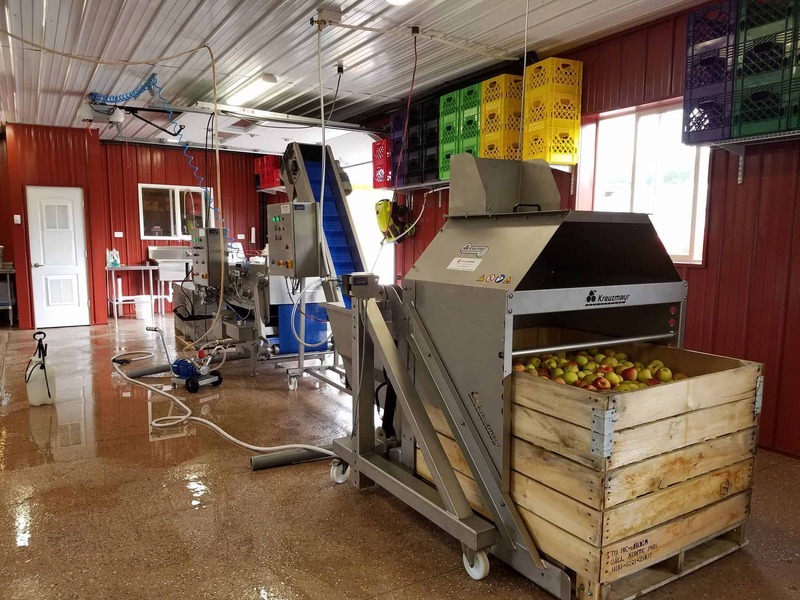 With the progression of technology, Kreuzmayr offers specialized equipment suited to hard cider makers like Andrew who want to modernize their production, to suit their budget, size requirements and production needs. Andrew upgraded his operation with a Kreuzmayr KEB 500 Single Belt Press, a GKE Bin Tipper and a KWEM 1000. 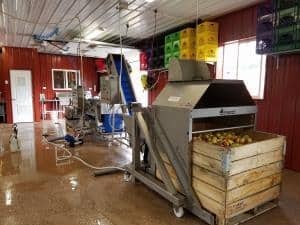 The Bin Tipper effortlessly places the apples into the elevator/washer/grinder, the belt press then moves the pulped fruit through a series of rollers, extracting the maximum amount of juice, quickly and reliably. The excitement has changed for Andrew, from the days of anticipating apple explosions in the cold, to a more laid back, relaxed schedule of pressing. To produce the cider and get the crisp flavours he is looking for within the cider he’s changed the varieties of apples he grows. “I have yanked traditional varieties (red delicious, gala, etc) for some hard cider varieties: Spitzenburg Esopus, Pippens, Michelin, Ellis Bitter, Brown Snout, Winesaps, Ashmeads Kernel, Dabinett, Gold Rush, Golden Russett, Bulmers Norman, Frequin Rouge, Nehou, Harrison, and Franklin Cider Apple. 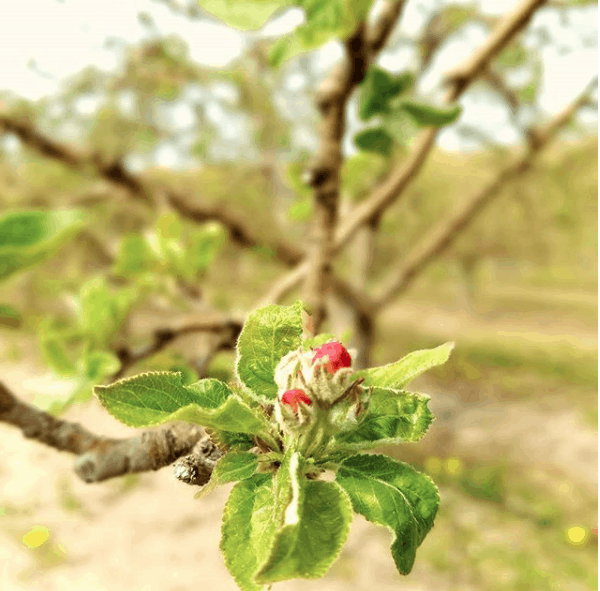 Of the changes made to the orchard, and the change in focus, Andrew believes it has brought life back into an aging industry. “We tend to market the hard cider more than the traditional u-pick orchard. 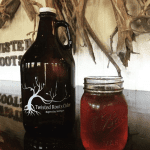 The margins are bigger and it attracts a younger fun crowd.” Twisted Roots sponsor events such as the Twisted Roots 5k and have bands play occasionally on the weekends . The name ‘Twisted Roots’ demonstrates how interwoven our lives can be. When we cross paths with someone new, we often find we have acquaintances in common, as we refer to the six degrees of separation. Twisted Roots mirrors this – as the family has it’s own interwoven history. Andrew’s wife, a relative of his stepmother, was two degrees away from him in the pathof meeting. 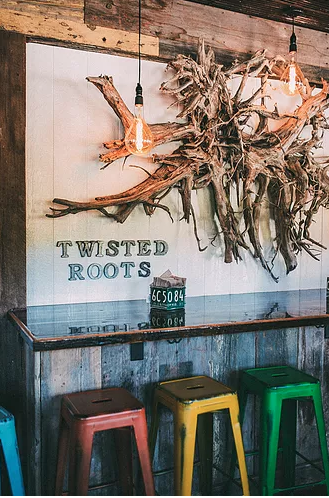 The Entrance to Twisted Root displays a cedar root, demonstrating this connectedness. 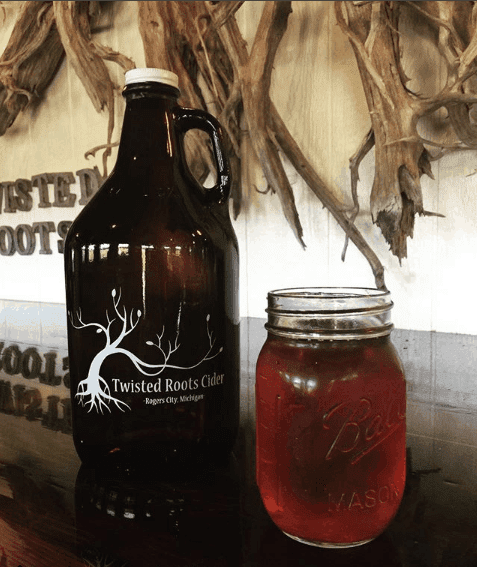 And now, we all have yet another reason to connect, and that’s over a glass of hard cider at the Twisted Roots Cider tasting room.